Home » Miscellaneous, People & Places, Social Issues » School Kids Must Be Protected says U.S. 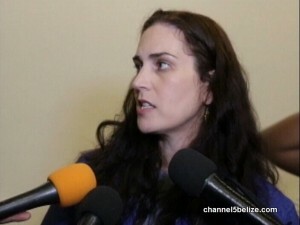 The Department of Labour’s 2017 report on the worst forms of child labour found that Belize has made strides in preventing child labour through such programs as the BOOST conditional cash transfer program that rewards families for keeping children in school and immunized, as well introducing legislation. Representing her American counterparts, Acting Deputy Chief of Mission at the U.S. Embassy, Deborah Lingwood, emphasized the need for children to be in school and not having to work for a living before their time. The project lasts four years and other regional countries involved include Jamaica and Honduras.